People are our greatest assets, from our employees to our customers; we hold the relationships we build with one another in the highest esteem. 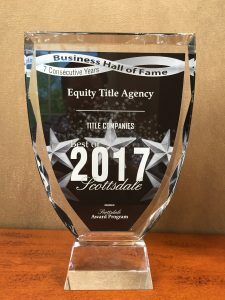 Joining our team means you will be part of the industry’s best-in-class title solutions. We offer a well-rounded benefits package effective the first of the month after commencement of employment. Benefits include such plans as a company paid life insurance and disability policies, 401(K), medical, dental, vision, paid time off and much more! We take time to nurture and grow our employees and always look to promote within our own ranks. Our people are constantly being trained by our own training department so that we stay ahead of the market.